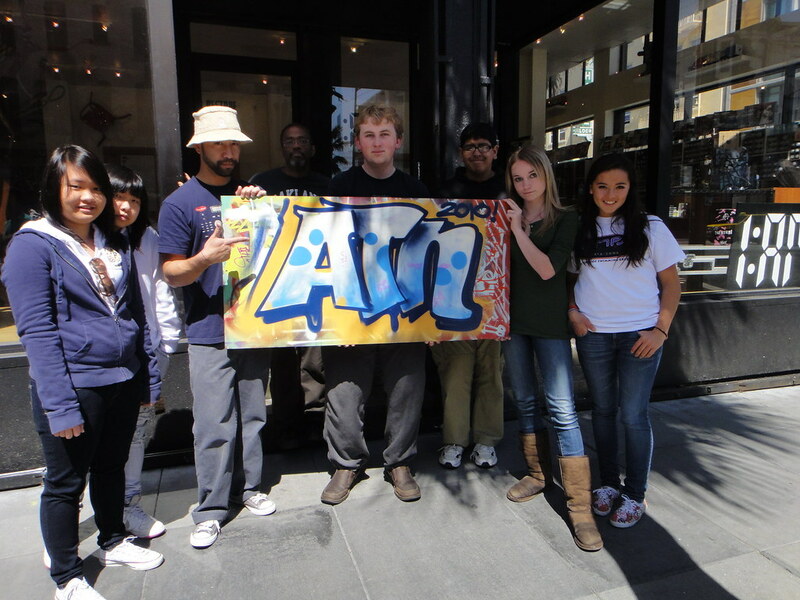 One fateful Friday morning, six kids from Athenian school in Danville, under the leadership of their teacher Stacey the Great, trekked their way to San Francisco on a quest for knowledge, street art knowledge that is. They took a private 1:AM workshop under the instruction and guidance of local graff artist Nate1, who gave them a taste of the world of graffiti. The students not only learned about various letterstyles in the classroom, but got to see them firsthand on a mural walk around SOMA. The students left Nate1 stunned and impressed with their probing questions and ability to retain so much graff knowledge. At the end of the quest, all of the students were allowed to practice their hand at spray painting, producing their school’s letters, “ATN”. Doesn’t everyone look so proud and regal beside the letters they painted as a team? Big ups to Stacey the Great! His kids are lucky to have a mentor that has an open mind and willing to do things that promote free thinking. Not only is he a teacher at Athenian school but he is also an artist and the founder of an organization called Participation Art. 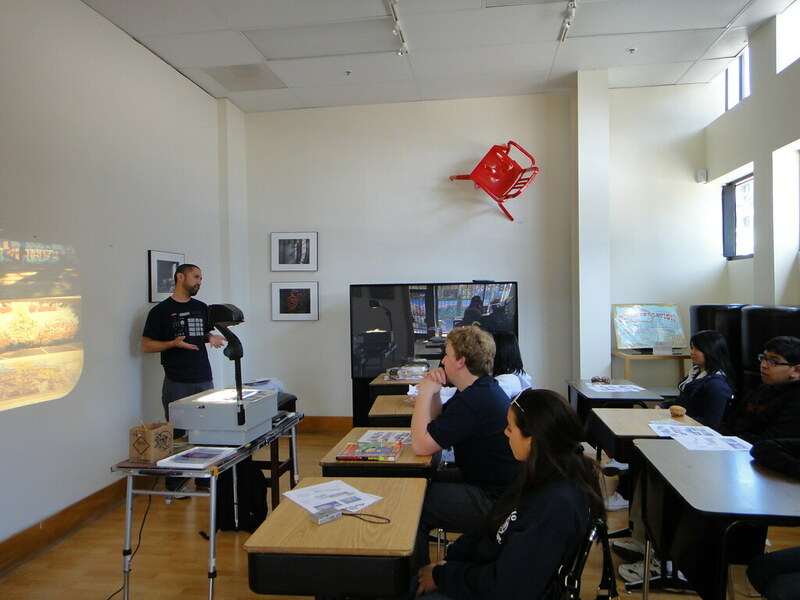 Participation Art’s mission is “dedicated to showing youth art that is socially- aware and participatory. Projects are initiated by both youth and adults and take advantage of the internet’s ability to facilitate collaborations and connect people globally”. One of his projects that he is doing with his students is titled “You Complete Me” where they plan to leave life size images of community icons (e.g. police officers, moms, etc) that are incomplete with markers tied to them so people who pass by can hopefully complete them (and not totally destroy the images). We can’t wait to see the outcome from this social-identity project. Stacey, keep on inspiring and making a difference! Check out more photos from the day on our flickr. On a quest to learn more about street art? Want to plan a private workshop for your school or business? Then contact class coordinator Gina for more information. Her e-mail is gina@1amsf.com.